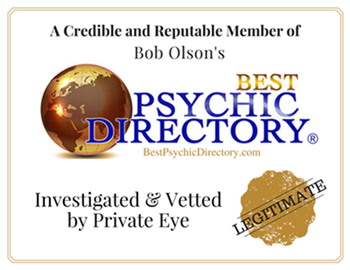 I’ve included testimonials from mediumship readings, and life/job coaching as well as personnel recruiting because I feel my intuition has always played a big part in every job I’ve ever held to help people improve their lives. “Thank you again for the mini reading today on the radio show! It was nice to speak with you and my great grandma/grandma. By the way, the name Maria that came through was actually my great grandmother! I validated with my mom and her name was Maria. She was born with the name Maria and changed her name after she got married (to Mira) Thank you again for relaying the message. “Thanks Lisa, I got way more than just a polished resume with your service. You’ve done a world of good, and given me the extra boost I needed to get out of the door with confidence! Thanks so much.” –Joseph V.
Notes: Joseph was one of those ideal clients for me: he was eager to change his life for the better, took my advice/guidance and followed it to the “T”. As a result, he was successfully hired at the company and position he targeted, and has been working for a few years now with great success! He has a terrific boss and supervisor, a great mentor/co-worker, received a promotion, and is now participating in a management program within the company. “Lisa, I just wanted to say thank you so much for all your help and just with the few times I have spoken to you I feel as if I have more confidence and am able to get a better job than just fast food…”… “I’m very impressed, you’re amazing!!! !” –Stephanie D.
from @JessRS @lablady thank you for that great reminder. only keeping what’s useful and loved. otherwise, donated or trashed. going really well. from @NikkiStarr @lablady That so worked! I can’t thank you enough!!!! Schedule a Mediumship Reading here. Intuitive Job/Life Coaching session: email me at: messagesfromtheotherside [at] cox [dot] net. Copyright 2010 – 2019. All rights reserved.